In 2015 still an experimental contribution to the Vienna Design Week, in 2016 part of the main course: champagne buckets by Alexandre Echasseriau for Wiener Silber Manufactur. 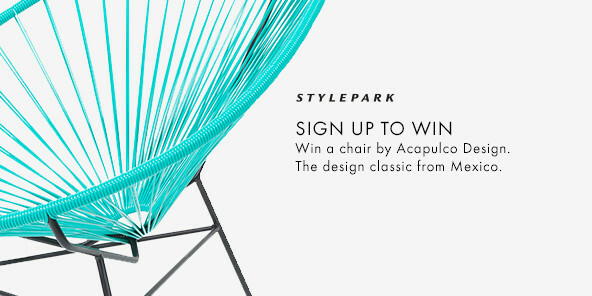 The recipe for a successful design festival? 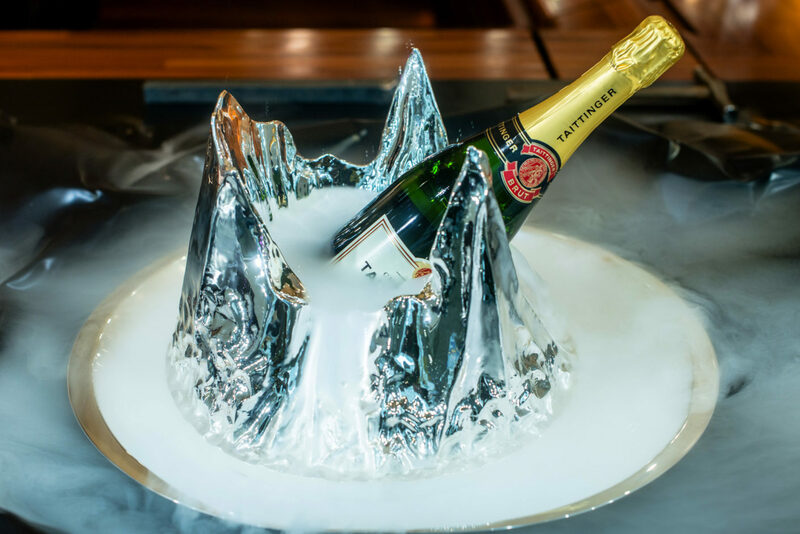 Tike five ingredients, mix them up fresh and serve them lovingly garnished. Ready to go! 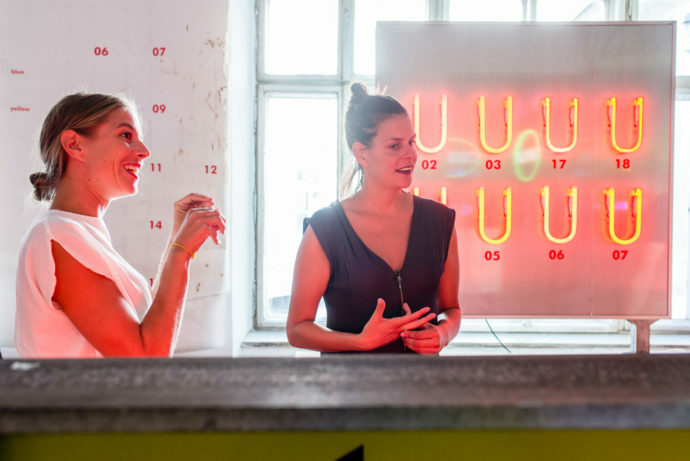 How good the concoction then tastes can be tested each year in Vienna at the “Vienna Design Week”. The 10th edition, which runs till this Sunday, certainly passed the good-taste-test. We glanced over the chefs’ shoulders and reveal the recipe to you. A design festival needs the right venue. Because the latter must be more than just a hopefully beautiful backdrop in which the festival is then staged as if it were a theater play. The venue must inspire the festival, must provide extraordinary places, and ask questions. Vienna is almost ideal in these regards. Unlike many other European capitals, Vienna is not completely gentrified, meaning that there is space for experiments: On the one hand, you will come across empty stores and buildings that have not been modernized. On the other, many a long-standing workshop or business outlet has survived (The Partners), for example one of Austria’s last copperplate printing houses, at the heart of the 1st District with a view of Prada and Louis Vuitton. The former exhibition halls of a cabinetmaker in the 5th District serve this year as the festival headquarters, meaning the primary venue for it. The headquarters are always located in the “Focus District”, which changes each year but where activities tend to be concentrated (® The Concept). There’s another great practical thing about Vienna, its size: The city is small enough to enable you to easily view all the festival events, but no so small as toe seem provincial. Bang at the entrance to the festival headquarters, visitors are jarred awake by the Pop graphics by Brit duo Morag Myerscough. The stucco was already there, the line of text was ingeniously added by Teehaus Demmers for its salon at the festival headquarters. It is also important to have a face that symbolizes the festival. In the form of Director Lilli Hollein, the Designweek again has the perfect solution. A graduate of design, Hollein not only founded the Festival back in 2007 together with Tulga Beyerle and Thomas Geisler but to this day is the driving force and smart mind behind it. During the festival she seems to be as good as ubiquitous, present at the opening of course, at the awards ceremonies, the press tour, the cocktail, the talks and the exhibitions. Wherever you spot Hollein complete with her striking black glasses, there is the Vienna Design Week. As the curator, she also guarantees superb contents. During a discussion on the “Paths of the Passion” (® The Concept) Barbara Kamler-Wild of Wiener Silber Manufactur says quite openly how projects for the festival had to be revised because Hollein was not totally convinced by an interim presentation. 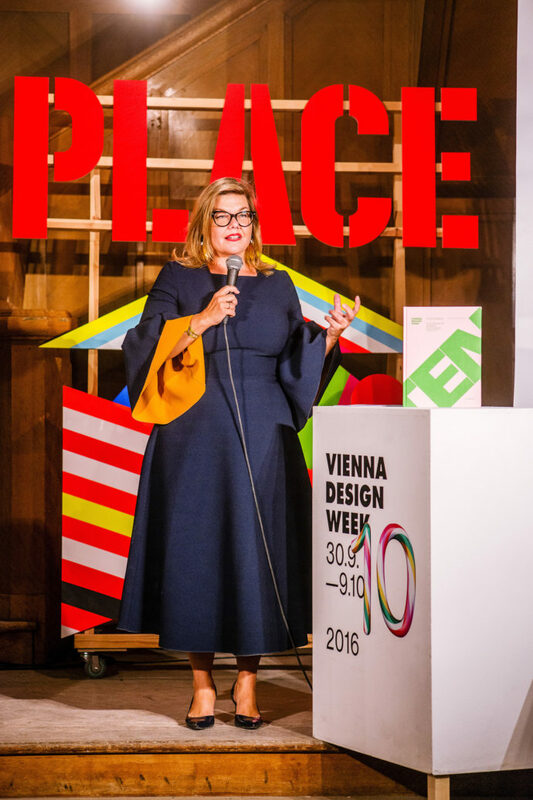 Omnipresent at the Vienna Design Week: co-founder and director Lilli Hollein, here at the opening. 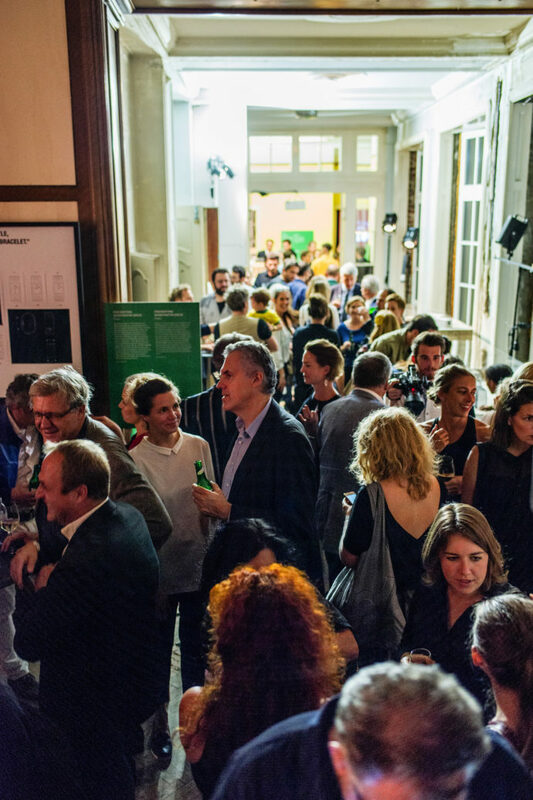 And a big Hallo: the Vienna Design Week opening party at the festival headquarters in the 5th District. Perhaps the greatest strength of the Vienna Design Week is its lean concept. The program is divided into various formats, each of which sets a clear substantive focus. With “Urban Work” (® The City), for example, the festival is realizing several projects in line with committed “social design”. This year, among others designers Johanna Dehio and Valentina Karga together with refugees and inhabitants of the Margareten District are making cooking wares and table stoves from clay. While at work on the idyllic wastelands, people get talking, and then they cook together using the new pots. The “Hostland” format, by contrast, brings international ideas to bear, this year from the neighboring Czech Republic. 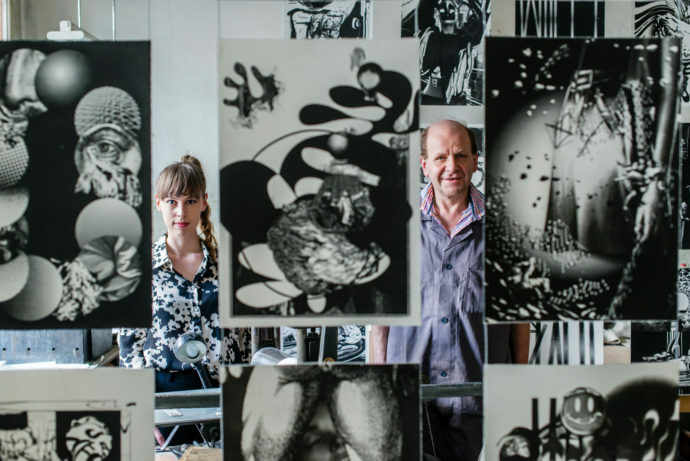 Well worth seeing the exhibition “Generation” – there the Okolo collective present young Czech design. Alongside beautiful luminaires, vases and products, Okolo serves up exhibition texts that give many an insight into how the young designers work. 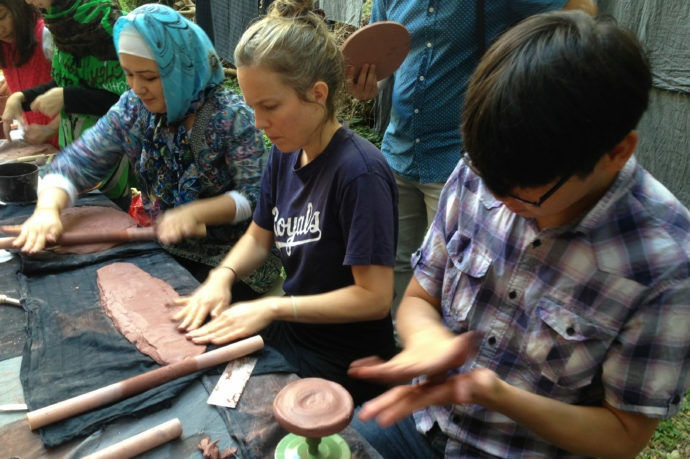 Outdoor integration: Designers Johanna Dehio and Valentina Karga make pottery and cook for the entire duration of the festival with neighbors and refugees from the 5th District. And it all ends in a festive meal. Bohemian glass: The Okolo collective curated an exhibition of young designers from this year’s guest country, the Czech Republic. The classic format is the “Paths of the Passion”. Here, designer together with local crafts workshops can experiment. Austrian graphic designers Studio ES had copperplate printers Wolfgang Schön (® The City) produce black-and-white collages using a variety of different printing techniques. 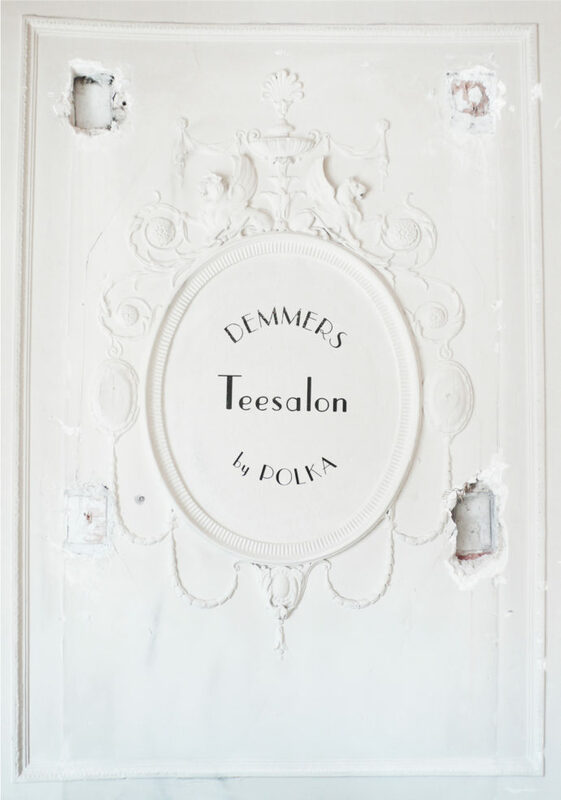 Part of the idea is to discover the enchanted rooms with the printing presses, the inks, rollers and knives – and thus an almost extinct craft. This year, the “Paths of the Passion” also take visitors to a piano workshop and to a manufacturer of illuminated ads and signs. At Neon Kunze there are not just fluorescent lamps in all manners of colors and shapes on show, as on the walls hang real hunting trophies, water buffaloes and gazelles. The designers from Eindhoven’s Studio rENs were inspired by the strange surroundings to experiment with red neon light. The example of the “Paths of the Passion” highlight one thrust of the concept: The festival is meant to be sustainable, no hot air, but instead a catalyst for new ideas. For the anniversary year, the team commissioned a scholarly study, which confirmed that the plan functions – it proves in very practical terms what effect is achieved by “Paths of the Passion” corporations (® The Partners) such as Wiener Silber Manufactur. The company’s lines also now feature several products that evolved from experiments for Designweek. Bright sign: The two designers from Eindhoven’s rENs have experimented with red neon for the Paths of Passion. Nail and depth: Studio ES joined up with copperplate printers at Kupferdruck Anstalt Schön to explore the limits of various printing techniques. It seems obvious that a small festival team cannot on its own powerlift such a large project as the Designweek. The festival needs partners, institutional and commercial ones. The festival’s extensive program is largely based on offerings from colleagues from the cultural world, the off-spaces and business. Formats such as the “Paths of the Passion” (® The Concept) would simply not be possible without committed companies. 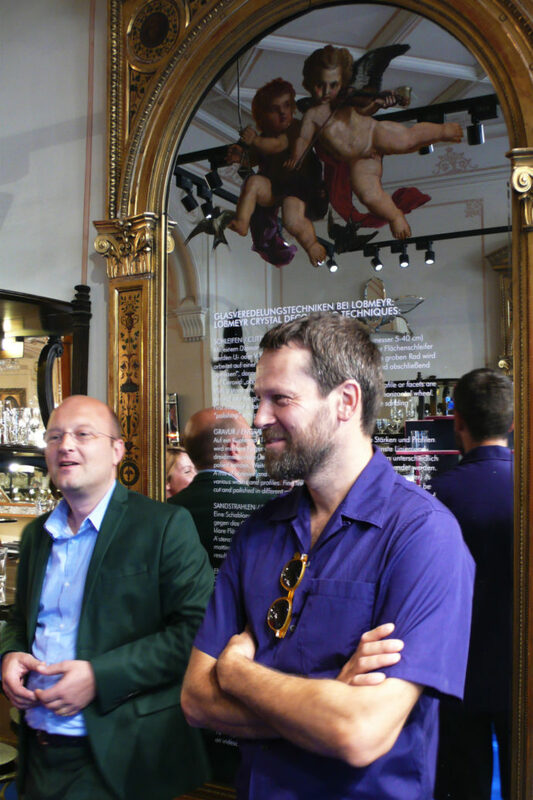 Such as Glasmanufaktur Lobmeyr, along since the beginning, and its MD Leonid Rath, who really appreciates the interaction with designers: “They hold up a mirror to you. You learn a lot about the meaning of the company in today’s world,” he comments during the “Paths of the Passion” talk. “In other words, we’re nurturing the tradition of renewal.” Crystals specialist Swarovski also does its bit: This year not just with the sparkling “Prologue” installation by Frederikson Stallard in the stairwell at Schloss Belvedere; Nadja Swarovski also bestowed the “Swarovski Design Medal”, a new prize that recognizes the contribution of a particular designer to the Vienna Design Week. The first to receive the distinction was Viennese duo Mischer’Traxler, one of the lodestars of the Austrian design world. This pairing for the “Paths of the Passion” already has its own history: Lobmeyr MD Leonid Rath (on the l.) and designer Martino Gamper presenting their collaboration. 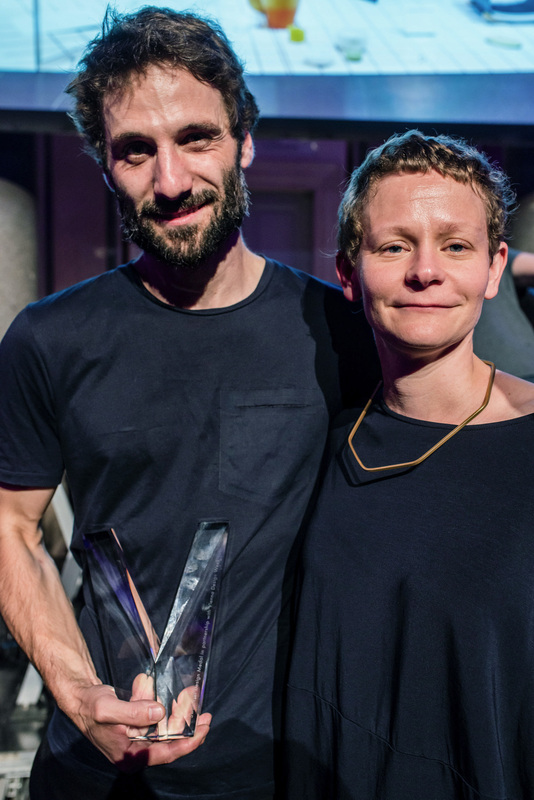 Viennese duo Mischer’Traxler were the proud winners of the very first Swarovski Design Medal. Now aged ten, the Vienna Design Week is itself now part of the history of Viennese design and craftsmanship. The rich tradition (® The City) is frequently to be sensed in the projects, needless to say in the “Paths of the Passion”, but also in many exhibitions and events run by partners. 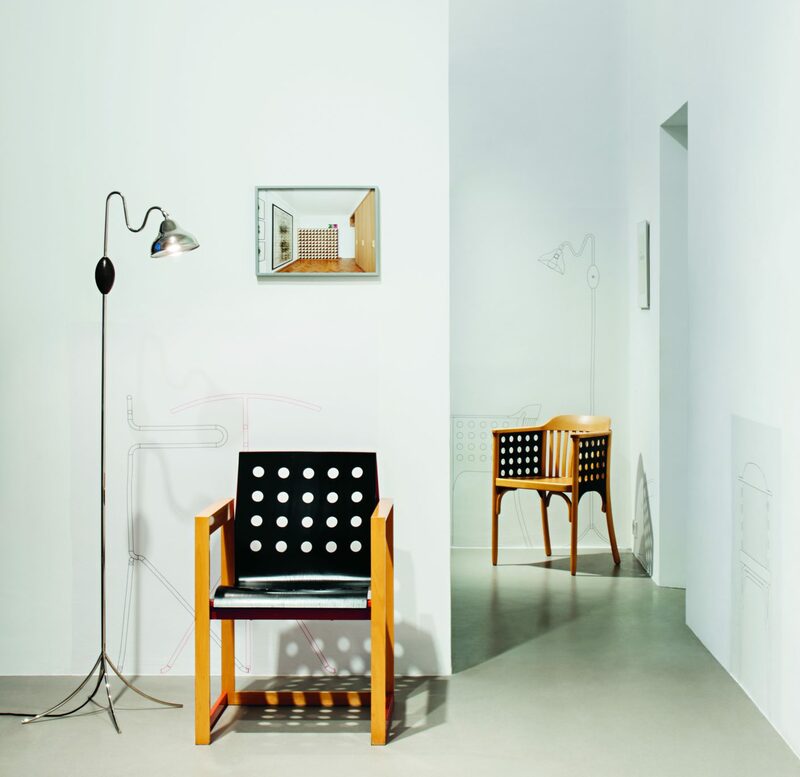 One real discovery, for example, is the furniture and luminaires made by Austrian architect Adolf Krischanitz, who takes stock of his over 30 years’ design output at Galerie MAM Mario Mauroner (® The Partners). A recurrent theme of his is bentwood. The Duo Zerunianundweisz, by contrast, comes up with new shapes and functions for cast vessels and cutlery, on show in the festival headquarters. And anyone who does not have the full history of Viennese arts and crafts before their eyes, can jog their memory by checking out the marvelous collection at Museum für angewandte Kunst. So much for the recipe and thanks to it year after year, the Vienna Design Week has been a real fixture in the event calendar. Interesting to note, perhaps, that there are ingredients Lilli Hollein and her team do not use: Star designers, fair hustle-and-bustle, trend rumors, etc. And after a long weekend in Vienna one thing is abundantly clear. No one misses such ingredients. 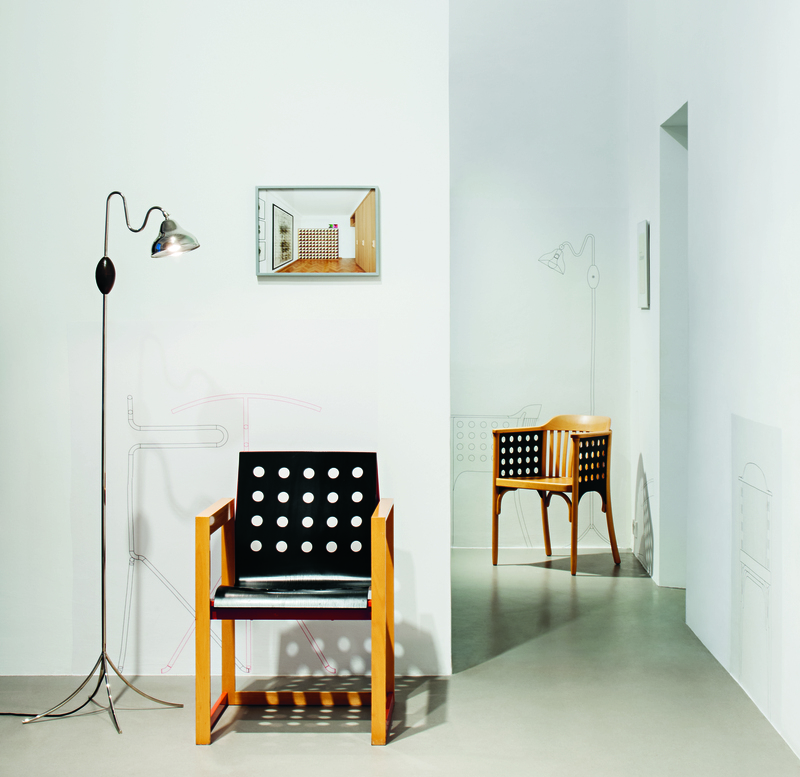 Designs by a grand old master of architecture: Galerie MAM Mario Mauroner in the 1st District presented furniture and luminaires by Adolf Krischanitz.